Woodlea Nursery stocks a wide variety of seedlings, trees and shrubs, and supplies them to forestry, landcare groups and revegetation projects. 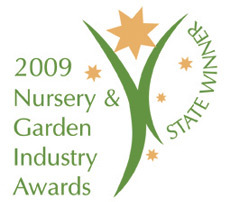 Woodlea also supplies farmers, retail garden centres, and sells to the general public. Go to our catalogue to find a listing of the plants we can supply. Click on this link to see our current pricelist. Woodlea Nursery also propagates a large number of grapevines, both for commercial vineyards, and the general public. Our listing of varieties and clones shows our usual range of wine grape varieties. Table grape varieties are also available in 95mm pots for home planting or retail sale. Ring for more specific information on the available varieties or for enquiries about varieties not listed.